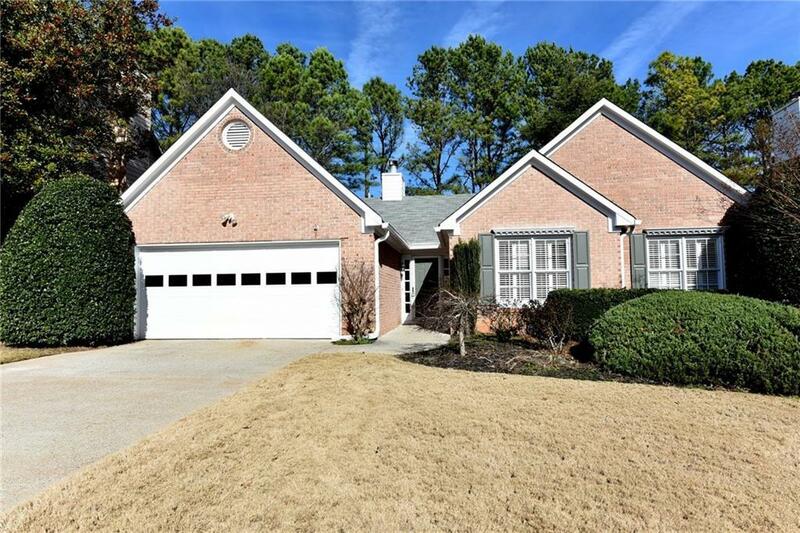 Move in ready RANCH in sought after Waterford w/in walking distance to schools! Open, bright floorplan w/ separate dining, family room w/ fireplace opens to sunroom/flex space. Kitchen w/ island, two pantries & breakfast room overlooks private backyard. Huge master w/ separate sitting room could be used as office/nursery or converted to 4th bedroom. Large Masterbath w/ double sinks, separate soaking tub. 2 addit'l bedrooms & full bath. Recently painted exterior. Great location close to shops, restaurants & 400. Newer HVAC/water heater & roof. Community lake access. Directions: From 400n Take Exit 10 Go East (Right) On Old Milton Pkwy. Go Approx 3 Miles To Left On Jones Bridge, Then Right Onto Taylor Road, Then Right Onto Starfire Ln & Right Onto Firelight Lane. 5150 Is 4th House On Right.